There are a lot of wonderful creators with Asian fashion for tiny avatars. Here are three of my favorite outfits - and one of them is free! Pink Boats Kimono from Hippo. $300L. 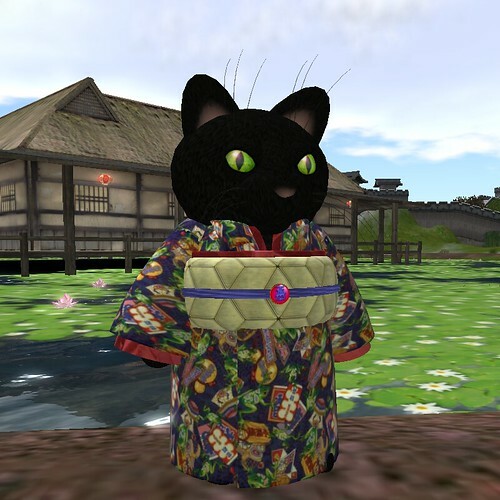 Comes with large and small versions of the kimono, and a paper lantern to carry. 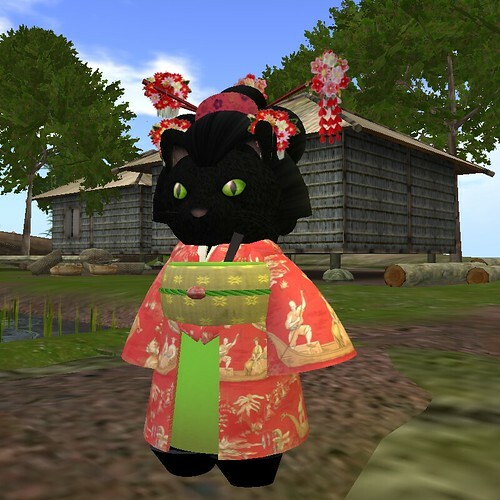 There are also other lovely kimono styles at Hippo as well. Geisha Hair from Martini Discovante's Tiny Shop. $300L. Maiko Shoes from Delight. Free in the Lucky Letter Board. 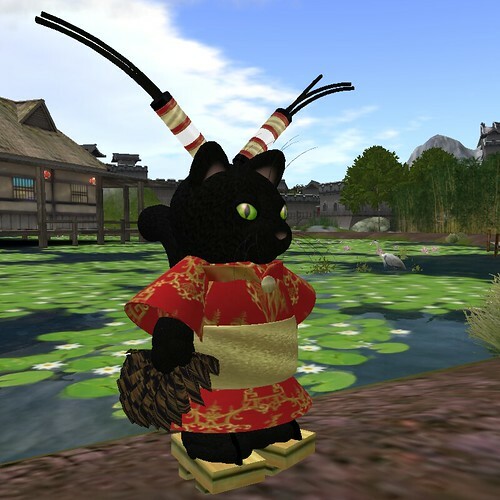 Kimono Kaeru from Tiny Tama. FREE! 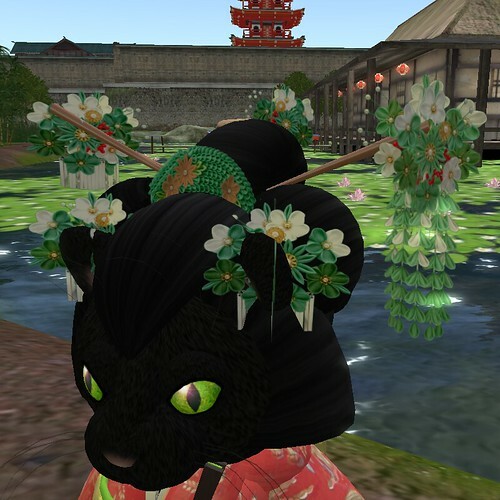 There are also two other fab Asian style freebies at Tiny Tama - Hakama Satsuki Yami and Saki Munke! International Kimono from TigPig. $200L. Comes with Asian shoes, hair doodads, kimono, and fan. Close up of the Geisha Hair from Martini Discovante's Tiny Shop. $300L. Several colors for women, and a Ronin style for men!